Fish boats on the bay. Seven GYA clubs – Biloxi, Mobile, Houston, Pensacola, Sarasota, St. Petersburg, and Southern – competed in the 1929 Lipton Regatta at HYC. Photo courtesy of Billy Moody. In 1920, yachtsman Sir Thomas Lipton presented SYC with a magnificent silver trophy to be competed for among clubs of the Gulf Coast. The British tea magnate, who made five valiant, but unsuccessful attempts over a 30 year period to win the Americas Cup, came to be adored by the American people who regarded him as a great sportsman. While he was unsuccessful in his Americas Cup challenges, his gift would have a lasting impact for it became the impetus for the formation of the now venerable Gulf Yachting Association (GYA). In the fall of 1920, five clubs representing five states came together to form the GYA: Eastern Shore Yacht Club of Mobile, Alabama; Southern Yacht Club of New Orleans; Biloxi Yacht Club of Mississippi; Pensacola Yacht Club of Florida; and the Launch Club (HYC) of Houston. At the heart of the organization was the annual competition for the Lipton Trophy, sailed in the one-design Fish class. GYA rules required that the boats must be club owned and member clubs must provide sailing instruction for members, their sons, daughters, wives, and sisters. In 1921, the Club sent their first team to compete for the Lipton Cup in Pensacola. Houston finished third, ahead of Southern the last and fourth place team. 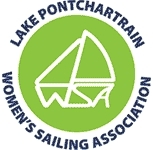 This respectable finish, along with a stop at SYC on Lake Ponchartrain, prompted the group to return home and call for major changes. 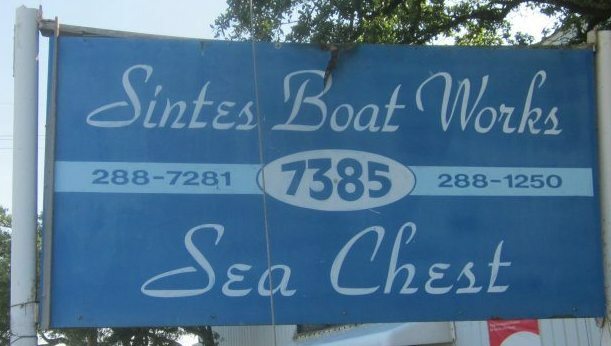 Within three weeks they made an unsuccessful attempt to change the name of the organization to the Houston Yacht Club and purchase property on the shores of Galveston Bay at Morgan’s Point. While six years would pass before the name change and relocation would occur, for the next twenty-five years the Club’s sailing program was structured around the requirements of the GYA and focused on the competition for the Lipton Cup. Beginning each spring, every weekend had a full schedule of sailboat races as sailors competed to qualify for the privilege of representing the Club at the annual GYA event. Each skipper was assigned a rating based on the number of races won. Everyone started at the novice class and advanced from C level to A. Lipton competitors were chosen from the expert A level sailors. When sailing resumed after World War II, HYC purchased six Corinthians and the Club’s Fish boats were no longer maintained and soon became unsailable. Without club owned Fish boats, HYC was no longer eligible for membership in the GYA. The lack of Fish boats resulted in HYC leaving the GYA and the subsequent formation of the Texas Yachting Association in 1953 (now known as the Texas Sailing Association.) HYC immediately assumed a leadership role in hosting state, regional, and national championships. Spectators crowd aboard the U.S. Coast Guard Patrol boat during the 1929 Lipton Regatta, hosted by HYC. Although the Houston sailors were never successful in their attempts to win the Lipton Trophy, HYC hosted the Lipton Regattas of 1929 and 1941, two events among the highlights of the Club’s history. Labor Day weekend, 2000, after a hiatus of more than 50 years, a contingent of young HYC sailors and a host of spectators once again made the trip to New Orleans to join the clubs of the GYA in the annual Lipton Regatta. Now sailed in Flying Scots, the event draws over 20 clubs throughout the South.